Director Josh Trank is attempting a comeback in 2019. When he first appeared on the scene with Chronicle, he drew much attention to his directorial talents. When he was handed the reins to a Fantastic Four reboot, things went sideways. During production he was known for crazy behavior, the near destruction of a home, and was eventually removed from his own solo Star Wars spin off film. Now, with all that behind him, it looks like his Al Capone movie will finally see the light of day. It's been out of the news cycle since it's announcement last year, but is finally seeing some momentum. 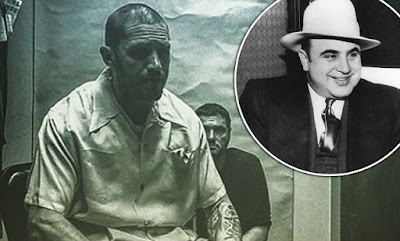 The story is set to tell the sad, final days of the most famous gangster of all time. It stars Tom Hardy as Capone and will expand on his spiral into madness due to neurosyphilis until his untimely death at 48. He made a statement today, saying that the movie will be released in 2019 along with some words on what happened with F4. However, no release date has been officially set.